Each assortment offers a rainbow of brightly colored squares, colored on one side and white on the reverse side. 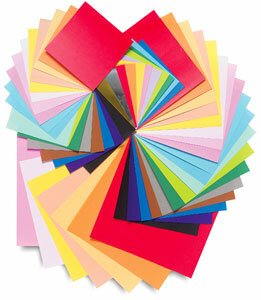 Assortment #3 — Includes 35 sheets in solid colors, all 5-7/8" (150 mm) squares. One sheet is included in each of 35 brilliant colors.